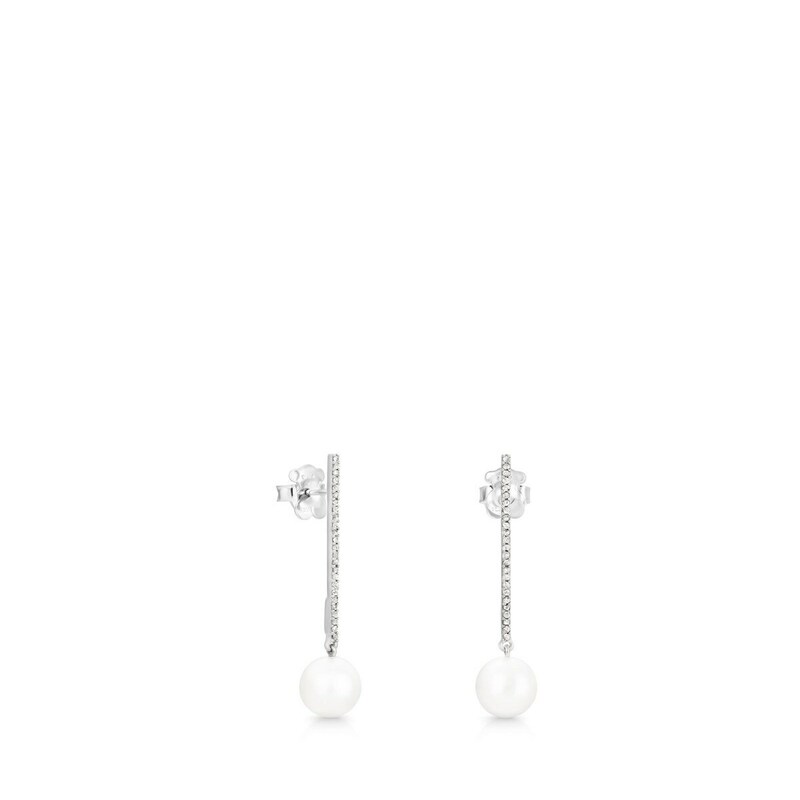 TOUS Pearls earrings in sterling silver, diamonds and 1cm pearls. Total weight 0.38ct. Pressure clasp.